My name is Hannah, I’m from Scotland but I live in Italy. I studied at the University of St Andrews and I have a BSc in Biology. I have been teaching for almost 4 years. Why do you like to teach online? I love cooking! I really enjoy making bread and anything else made of dough! 🙂 I also really enjoy video games and music. Scotland is not well known for cooking but we have fantastic ingredients! I love anything with Scottish seafood. 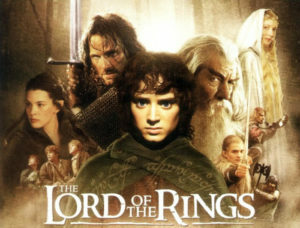 My favourite movies are The Lord of the Rings films. I really enjoy reading The Hitch-hikers Guide to the Galaxy. My favourite place on earth is a forest in Wales near my grandfather’s home. What would you say to a friend to convince him/her to learn English? Meet Danny, English Coach at VivaLing: "A day as a VivaLing coach is always memorable because my students make it that way"
Meet Jing, Mandarin Coach at VivaLing: "I’ve never felt the sense of fulfillment, that teaching gives me, from any other job".